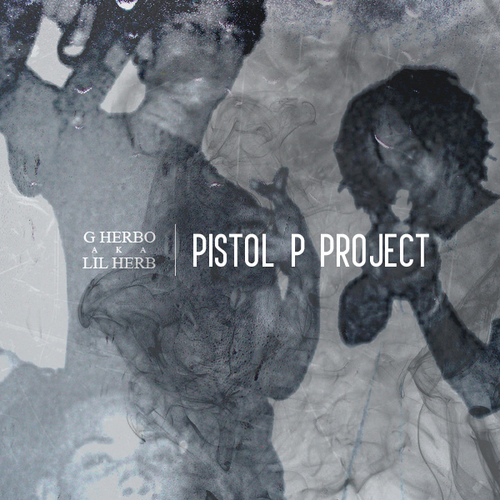 The Pistol P Project is the latest tape from Lil Herb, following Welcome to Fazoland. The tape dropped out of the blue the day after Christmas and it has just ten songs. You could almost consider this project an interlude to his studio album. The musical ability displayed by Lil Herb is uncharacteristic of many of the other artists in his city. Lil Herb is from Chicago, but he isn’t the type to categorize himself as a “drill” artist. Although the heavy bass that is a characteristic of many of his songs is certainly reminiscent of Chicago’s drill music scene, Herb tries to diversify his music and go over more soulful-sounding beats and other styles. Lil Herb displays versatility when he rhymes, and a flow that is hard to top. Chicago’s hip hop scene is booming right now and G Herbo is leading the charge. Although this project did not have the same effect as Welcome to Fazoland, there are still some very notable tracks and lyrics. For instance, my two favorite songs on this project are Real and 4 Minutes of Hell Part 4. Real is produced by Syk Sense and the track clearly strays from the typical type of mainstream hip hop music, veering more towards an old school, 90s type sound. On Real Herb spits the truth when he says, “F**k n****s don’t do right by they n****s at all / I get jammed up believe I know what n****s to call / I know my n****s that gon’ ride I know what n****s gon fall / But sad to say I know I just can’t f**k wit n****s at all.” Additionally, 4 Minutes of Hell Part 4 features one of my favorite lines from Herbo: “I’m just riding through my city getting’ blazed in the rain / I been stressin’ feel like I’m a couple days from insane.” Another good line on this mixtape comes from the song Quick and Easy where Herb says, “Young n***a don’t put nothing but family over money / But ain’t that funny how you’re family f**k you over money.” In a poetic, aggressive, and unique way, Herb speaks about the trials and tribulations he’s been through in his lifetime with no regrets. He definitely has the capability to tell stories with his rhymes, and his flow is one of a kind. Herb comes from a community that is so often ignored and looked over, and his music reflects the violence and social neglect that surround him, his family, and friends. While there is a lot to love on the Pistol P Project, there were also some tracks that I did not enjoy nearly as much, such as Jugghouse, Money, and Play It Smart. The main reason for my dislike of these songs is that they seem to be more along the lines of mainstream hip hop and are not as innovative as the other tracks. Lil Herb is a great artist because he differentiates himself from others, but with the three listed above, it seemed that Herb was trying to replicate the sounds of other artists, in turn taking away his own originality that he normally brings to his songs. Aside from these offsets, however, the remaining songs on the tape are solid. Besides, I think that G Herbo is attempting to appeal to a wider array of hip hop listeners, therefore it makes sense that he would try to create more music in the popular style. In my opinion, though, the best songs on The Pistol P Project are Quick and Easy, Real, 4 Minutes of Hell Part 4, and Where I Reside. If you are not still hip to Lil Herb’s music, then you need to make sure you cop the Welcome to Fazoland and The Best of Lil Herb & Lil Bibby mixtapes. These two tapes show you the vast potential that Lil Herb possesses. His album is currently in the works and I have no doubt that it will be a work of art. While I wasn’t as impressed with The Pistol P Project as his other tapes, Lil Herb has consistently dropped some incredible tracks over the last few years. He will certainly be a force to be reckoned with.